It’s not often that the public has an opportunity to honor a living war veteran and prisoner of war. But that opportunity is available on March 2 at the Broken Arrow Military Center. According to Jean E. Bailie, executive assistant at the Center, a birthday celebration for Cletys Idell Nordin, of Tulsa, is set for 3 p.m. on March 2 at the Center, 112 Main Street, Broken Arrow. A Korean War veteran, Nordin was a prisoner of war of the Chinese for 966 days, according to Bailie. In addition, he was a double agent during his time as a POW, she said. “His story is amazing.​ There were about 3,800 surviving American POWs returned after the armistice. He may be the only surviving Oklahoma POW from the Korean War. 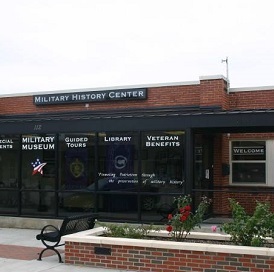 The Military History Center is a member of Green Country Marketing Assn., one of 11 multi-county organizations working with the Oklahoma Tourism and Recreation Department, the Oklahoma Travel Industry Assn. and the other multi-country associations to promote state tourism, an $8.9 billion industry. For additional information, contact the Center at 918.794.2712.